Ahmedabad is a beautiful city in the state of Gujarat that is a major education hub in the country today. Most of the schools are affiliated to the Gujarat Secondary and Higher Secondary Education Board (GSEB), others are associated with the Central Board for Secondary Education (CBSE). A number of popular colleges that offers a variety of courses are affiliated to the Gujarat University and Ahmedabad is also home to esteemed educational institutions that include the National Institute of Fashion Technology (NIFT), Indian Institute of Management (IIM), B.J. Medical College and more. You will also find several academic and scientific institutions in Ahmedabad. 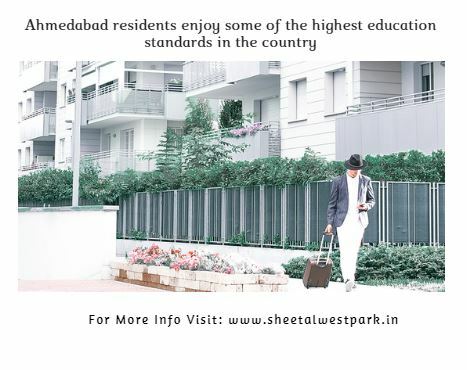 It cannot be denied that when it comes down to education, Ahmedabad is right at the top and offers Sheetal Westpark only the best! Owning a second home in Ahmedabad has a number of advantages for home buyers and investors as well. While the real estate market in Ahmedabad is booming today, the number of residential and commercial projects are many. Constant development, modern-day infrastructure and the growing popularity of the city is raising property prices in Ahmedabad at a steady rate. You can definitely expect good returns that will satisfy you. If you are looking out for the best education for your children, Ahmedabad is one of the best locations to purchase a second home and if it satisfies you, this city is ‘alcohol-free’ as well. There are several popular locations in Ahmedabad and a number of residential spaces to choose from. Yet, choosing the right residential space that offers premium luxury and comfort is very important. 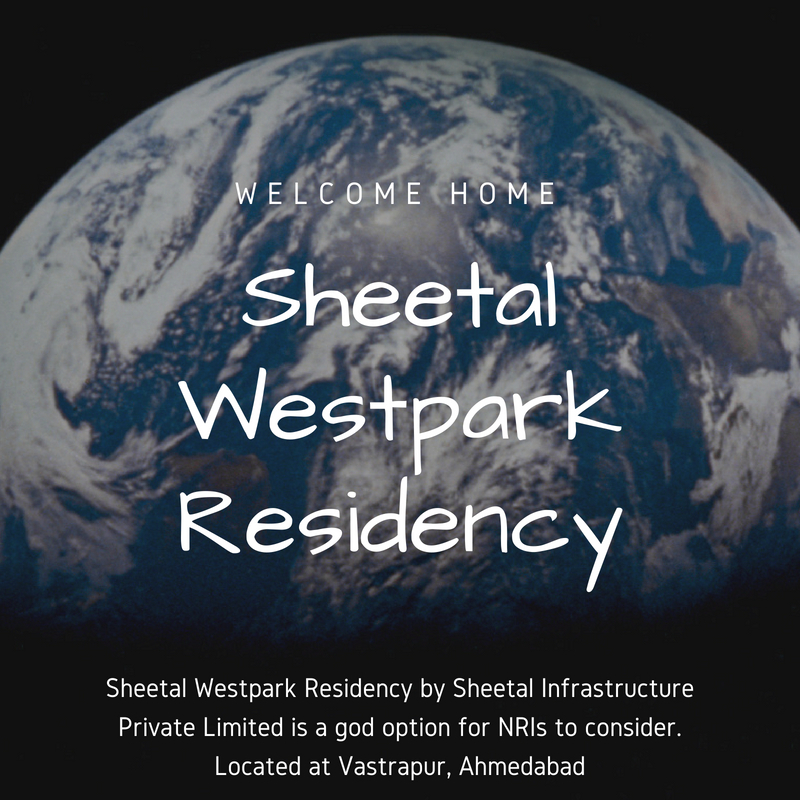 Sheetal Westpark Residency is an incredible residential project at Vastrapur in Ahmedabad by Sheetal Infrastructure is a recommended development for every one of loves to life in luxury and style. Spread over vast acres, this development offers splendid 3BHK and 4BHK luxury apartments with areas sizes starting at 1585 sq. ft. and going up to 2415 sq. ft. Offering a beautiful range of world class internal amenities, this development always keeps you active, fit, happy and entertained each day. This residential development has a number of schools, colleges and institutes in its proximity and its strategic location offers easy access to other locations in the city. 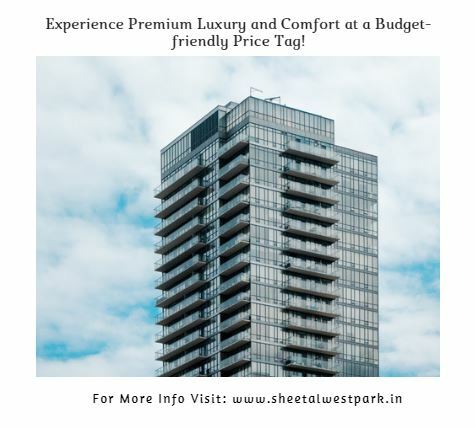 Starting at a price of Rs.81.55 lakhs only, this development is super-high only luxury and low on cost. Ahmedabad is an incredible city that is all set to offer your children a bright future and help them fulfil their dreams. Being one of the safest cities in the country, you and your loved ones will always stay safe and secure. Purchasing a second home in Ahmadabad has a lot of benefits, but choosing the right property is very important for a happy life and high-end returns.